LOS ANGELES — Nations that create the vast bulk of the Earth’s greenhouse gases can eliminate carbon emissions — thereby slowing climate change and other damaging consequences — if they move aggressively toward energy systems dominated by solar and wind power, a group of researchers said in a paper released Wednesday. A team headed by Stanford’s Mark Z. Jacobson outlined plans for 139 nations to transition to 100 percent clean, renewable energy by the year 2050. The study avoids the use of either fossil fuels or biofuels, which the researchers consider more costly, more polluting and less proven than power generated by wind, water and the sun. The detailed “roadmaps” for each of the countries envision no new hydroelectric dams; only making existing dams more efficient. The plans expand on renewable energy programs already underway in many countries and plot out how much land would be needed for solar and wind installations. In nations without enough buildable land, they envision the power stations being built at sea. Jacobson and 26 co-authors of the study describe their work as the first specific country-by-country blueprint to help stave off the 1.5-degree Celsius increase in temperatures from pre-Industrial levels. Scientists have warned the warming could set off cataclysmic changes in the world’s ecosystems. The research, published in the new scientific journal Joule, comes as the California Legislature prepares to vote on a proposal to push the state toward the use of 100 percent renewable energy sources by the year 2045. It also arrives 12 weeks after President Donald Trump pulled the U.S. out of the Paris climate accord, in which nations also set goals for reducing carbon consumption. Jacobson, director of Stanford’s Atmosphere/Energy Program, said the researchers found that — rather than harming the economy and taking away jobs, as critics contend — the shift to wind and solar would create a net of more than 20 million full-time jobs worldwide. The shift would also allow the countries to avoid the 3 percent they now spend in their Gross Domestic Products to address the costs of air pollution — mainly in the form of higher health care spending. The plan maps each country and the energy sources it would rely on to reach the 100 percent renewable goal. Water-bound and geologically active Iceland would get 28 percent of its power from hydroelectric sources and nearly 23 percent from geothermal. Parched and wide-open Australia would get nearly 45 percent of its power from wind farms. 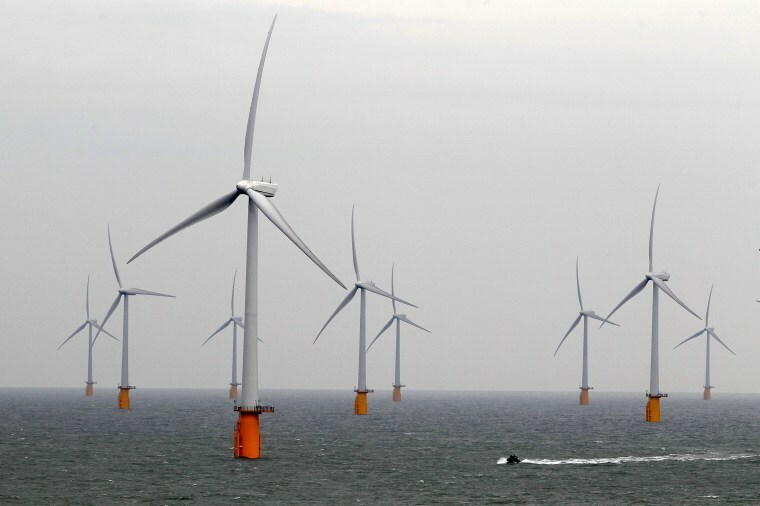 Poland would get nearly two-thirds of its power from the wind. “It is likely that no other energy options can provide such enormous global social benefits." The Stanford professor and his colleagues previously released plans for all 50 U.S. states to eliminate fossil fuel consumption. The paper envisions a world of rapid technological change and a shift in which electricity replaces coal, oil, and gas. Fully implemented, the plans anticipates that 57.6 percent of that electricity would come from solar, 37.1 percent from wind and the rest from a combination of hydroelectric, geothermal, tidal and wave energy. “It is likely that no other energy options can provide such enormous global social benefits,” said study co-author Mark Delucchi, a researcher at the U.C. Berkeley Institute of Transportation Studies. A key to the proposal is shifting transportation to electric power. Cars and trucks would run on batteries, while planes and ships traveling long distances would employ a combination of electricity and hybrid electric-hydrogen fuel cells. Electric heat pumps would provide heating and air conditioning and stoves would operate on electric induction, under the blueprint. The paper said much of the efficiency in the revamped systems, some 23 percent, would be realized because electricity does not create nearly as much wasted heat as fossil fuels. Another 12.5 percent in efficiency would come from eliminating the cost of mining, transporting and refining coal, oil and gas.